Come and join us in our Big Top Theatre this summer to celebrate Telford & Oakengates Theatre @ The Place turning 50! 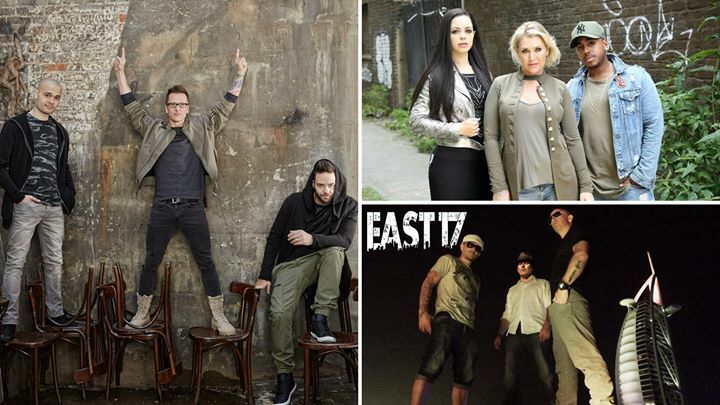 Still cheeky, irreverent and much loved, it’s great to have East 17 opening the show. Original members John Hendy and Terry Coldwell are joined now by Ivor Novello award winning singer Robbie Craig. Next up is one of the biggest UK boybands in history. With countless top 10 hits, sell out tours and million selling albums, 5ive have set their place in history. S Club are the perfect round-up to the evening. With a huge catalogue of hit singles ranging from ‘Don’t Stop Moving’ through to ‘Never Had A Dream Come True’, the band have had huge chart success worldwide. After a brief reunion with all 7, S Club Party consists of Jo, Bradley & Tina.